Danny Steed is a native Wichitan and a 43 year veteran of the real estate business in this area. He attended Midwestern State University and the University of Texas at Austin where he received his BBA degree majoring in marketing. In 1976, upon completing college, he returned to Wichita Falls to pursue a real estate career with Hirschi Realtors. Danny has been a multi-million dollar producer, sales manager of the firm, and today devotes full time as a "non-competing" manager, owner and principal broker of the company. Danny was the Realtor Associate of the Year for the Wichita Falls Association of Realtors in 1978, MLS Committee Chairman in 1981, 1982 and 2016, and served as President of the Association in 1984. Danny served as a director of the Wichita Falls Association of Realtors from 1981 thru 1991, 1998, and again in 2016. In 1983 he was named Realtor of the Year, in 2004 he was honored by the WFAR as its Distiguished Service Award winner, then in 2006 he received the WFAR's Silver Service Award. In 2018, Danny was awarded the status of Realtor Emeritus by the National Association of Realtors. 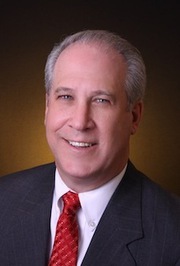 Danny has been actively involved in the Texas Association of Realtors and served as a TAR director from 1984 thru 1990. He served on the TAR sub-comittee responsible for the development of Mandatory Continuing Education rules and has served on TAR's Strategic Planning Committee. Having earned his designation as Certified Residential Brokerage Manager (CRB) in 1986, Danny has remained active in brokerage management education. He has been a director of the Texas Chapter of CRB since 1993 and served as the organization's President in 1997, and again in 2009. Aside from his real estate involvement, Danny served for three years as a director of Sales and Marketing Executives of Wichita Falls, and was nominated in 1985 and 1986 for Small Business Person of the Year by the Small Business Council of the Wichita Falls Board of Commerce and Industry. He is a former United Way Loaned Executive and has served in the Community Investment Division of the United Way. Danny is a past member of the Appraisal Review Board of the Wichita Appraisal District, a graduate of Leadership Wichita Falls and an active member of the Rotary Club of Wichita Falls. He served on the Community Facility Action Team for the Wichita Falls Independent School District, as well as serving on the Partners in Education Advisory Board. He also served on the Board of Directors of the Better Business Bureau of North Central Texas, Wichita Falls Board of Commerce and Industry, and Habitat For Humanity of Wichita Falls Board of Directors. Danny is Married to Maureen, a retired teacher for the Wichita Falls Independent School District. They have two sons, Adam and Brian, who both live and work in Wichita Falls.